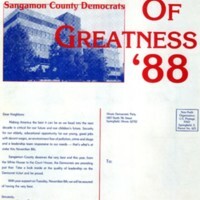 A brochure sent to voters with information concerning who will be running for office as a democrat. 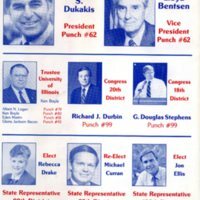 The people included in this brochure are hoping to run for various offices including President, Vice President, Trustee University of Illinois, Congress, State Representative, Recorder, Circuit Clerk, Auditor, State Attorney, Coroner, Circuit Judge, and County Board. 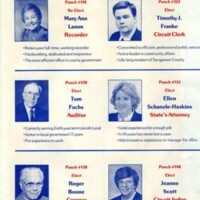 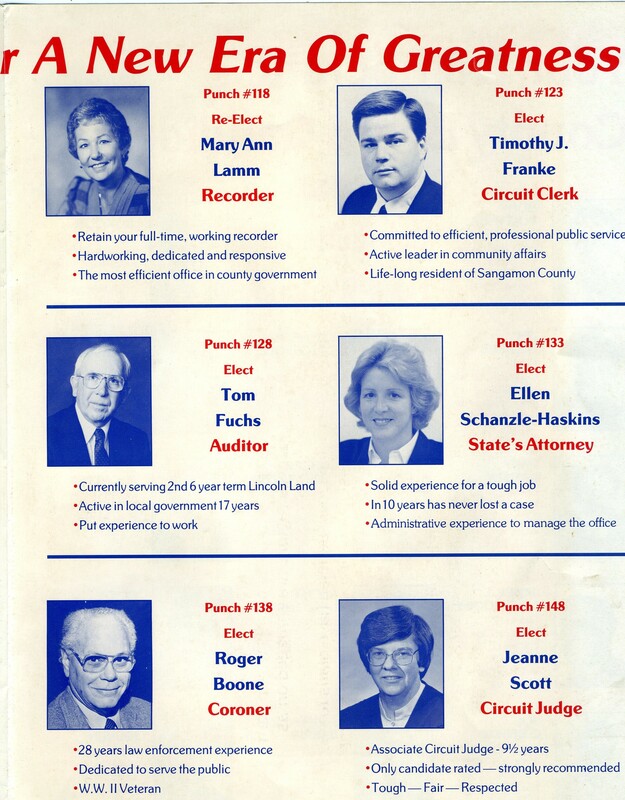 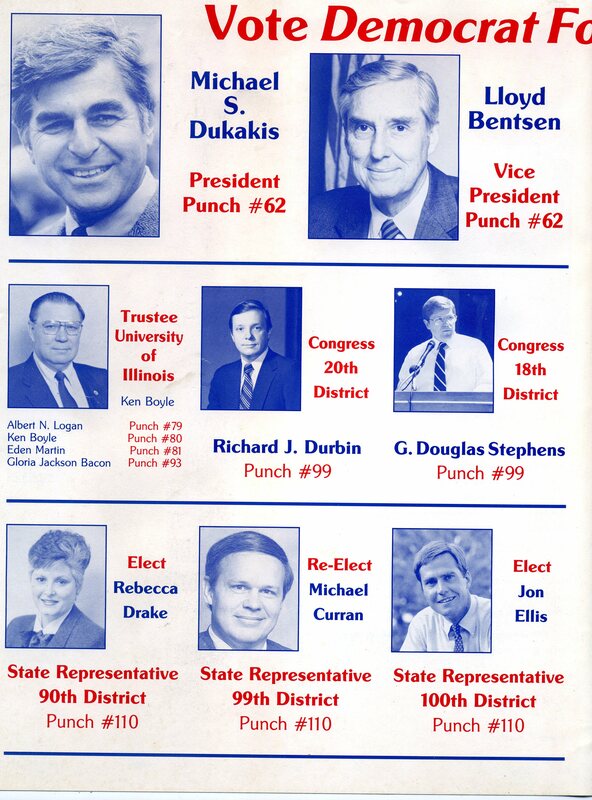 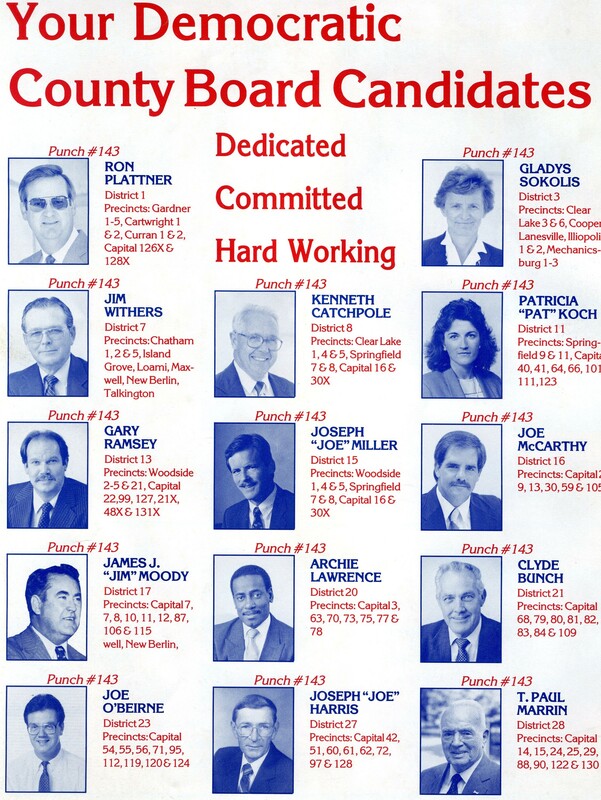 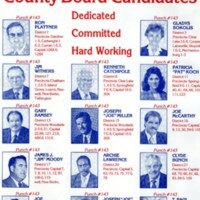 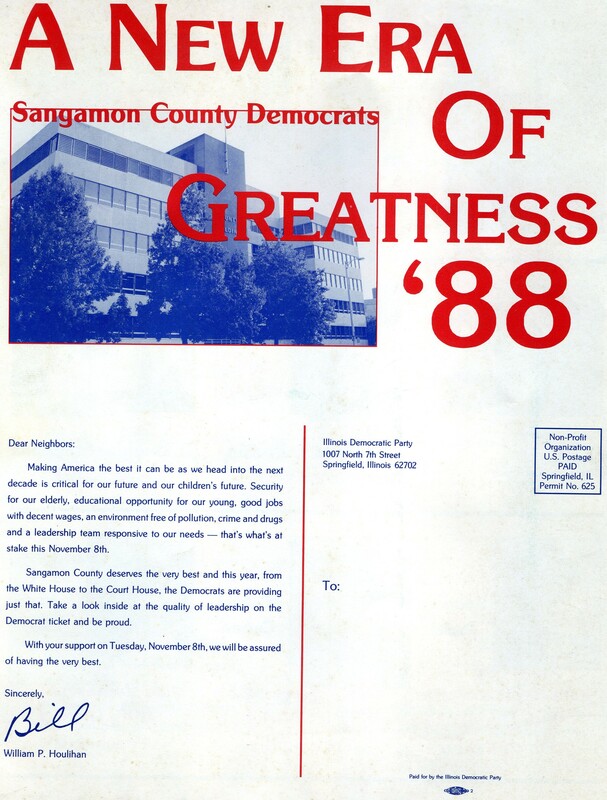 “Sangamon County Democrats Brochure for the Election of '88,” UIS History Harvest, accessed April 24, 2019, http://uishistharv1.uis.edu/items/show/116.